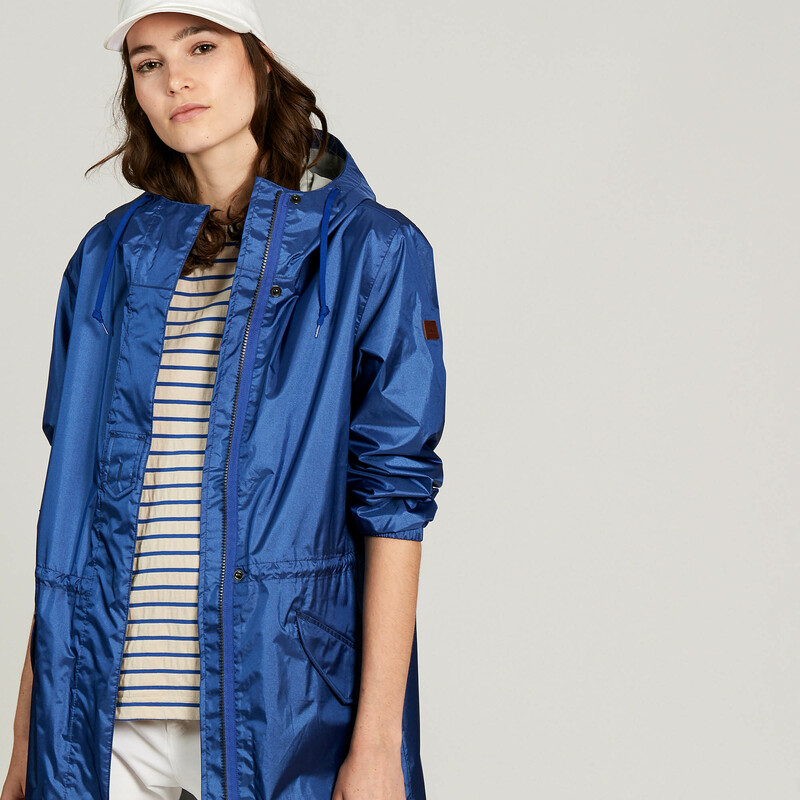 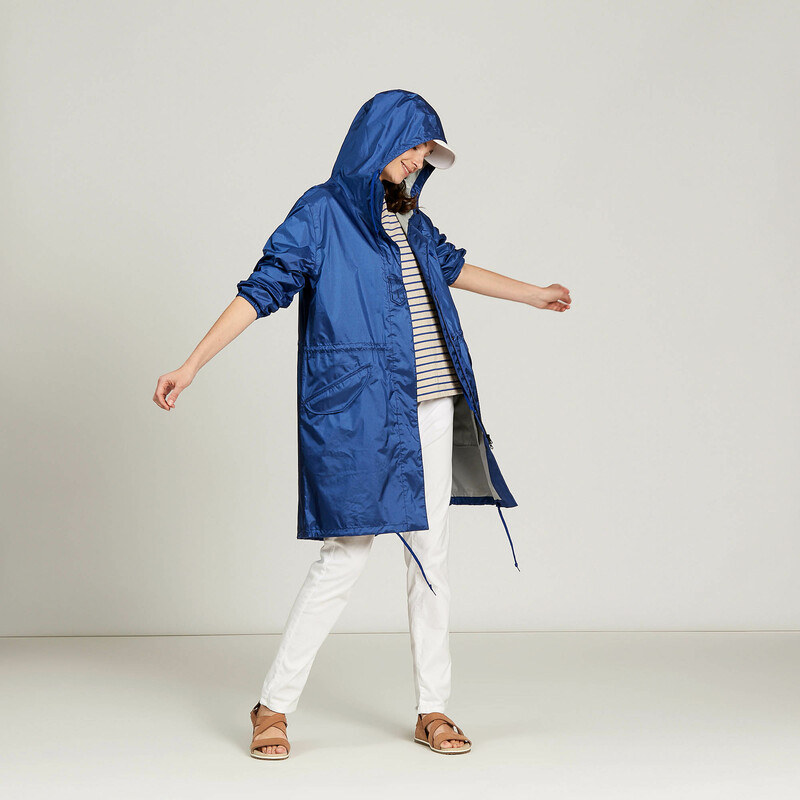 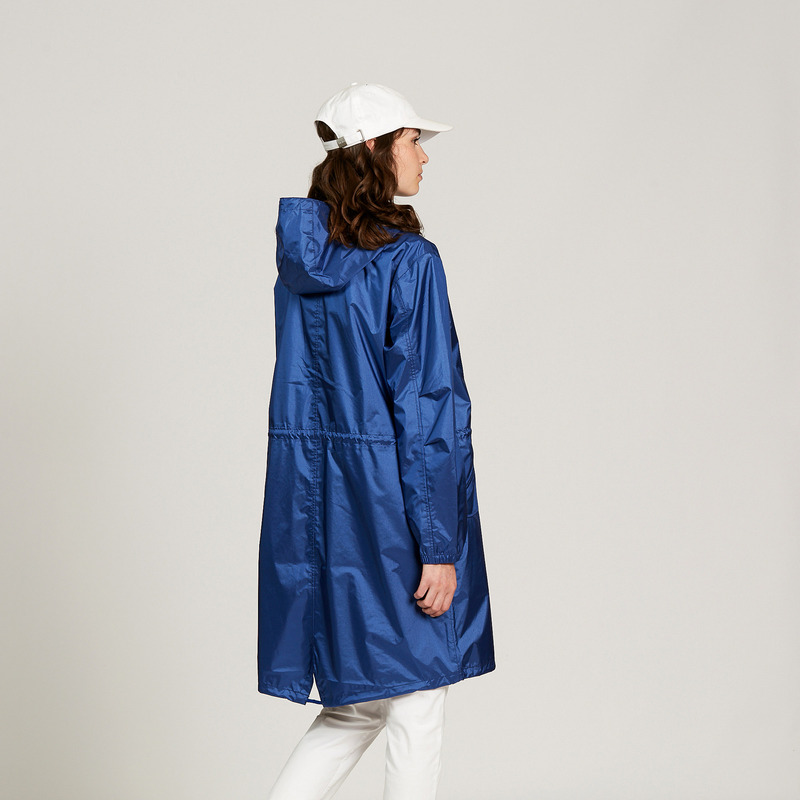 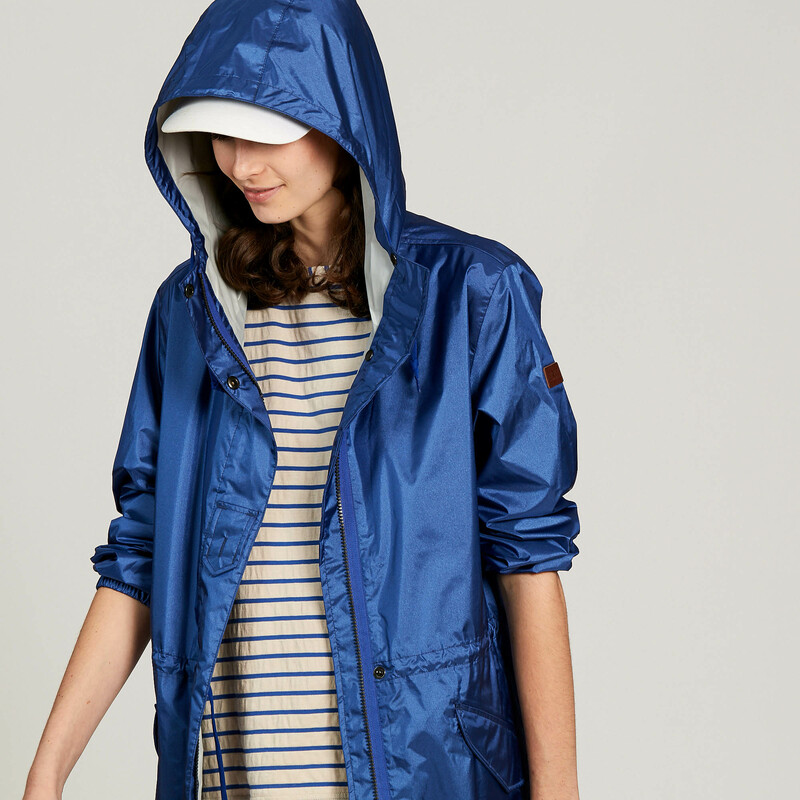 This long, classic, urban parka is a signature item in the Aigle collection. 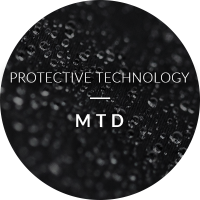 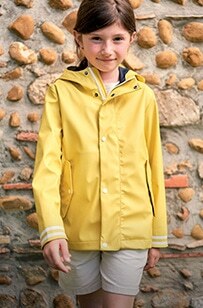 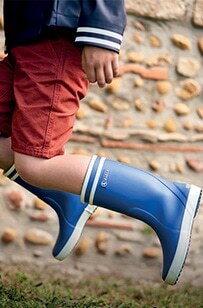 It offers maximum protection against the elements. 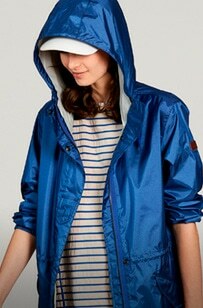 The iridescent colour gives it a look that's right on trend, and the fishtail shape makes it a practical choice. 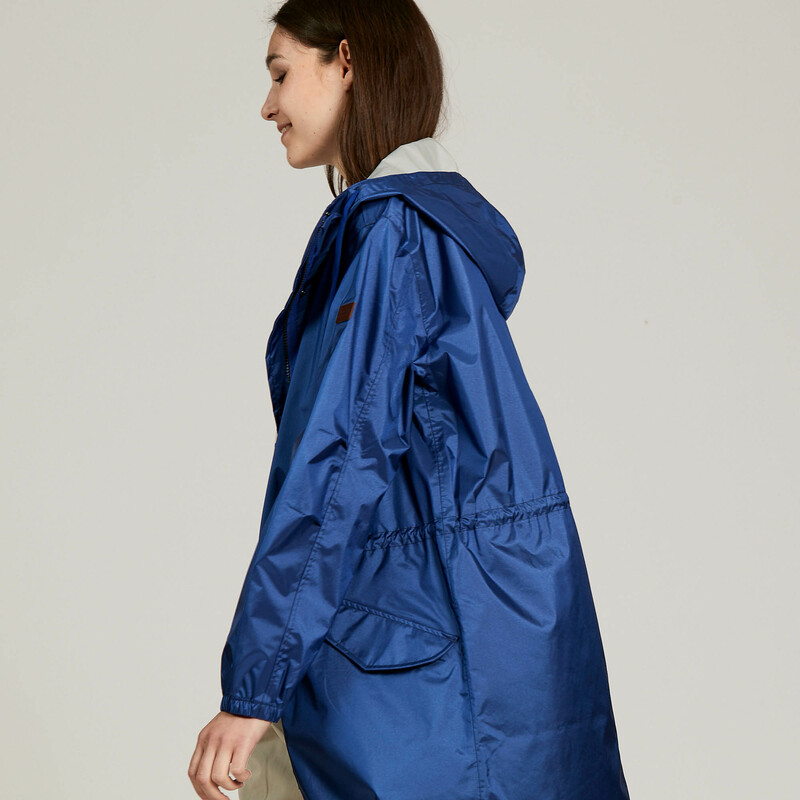 Drawstring-adjustable hood and waist - 2 outer zip pockets - Elasticated cuffs - Front double zip - It can be packed away into its own pocket.